The sodium hypochlorite dosing operations at each of these locations needed to achieve adequate chlorine residual before delivery to the Integrated Water Supply Scheme (IWSS). Previous studies of each of these sites identified a number of issues with the condition of the existing facilities. Generally the facilities are dated and no longer comply with the Water Corporation’s design standards or operational requirements. Each of the sites also presented some site specific challenges that needed resolution. In addition, a common requirement of the four sites is the upgrade of the communications protocols so that all sites are controlled through the Utility Wide SCADA System (UWSS). KAPP Engineering was initially contracted by Guidera O’Connor to provide design, programming and commissioning for Leederville L5, Melville MR17 and Balcatta B1 & B2. KAPP was further contracted by leicon notley for works at Leederville L6. 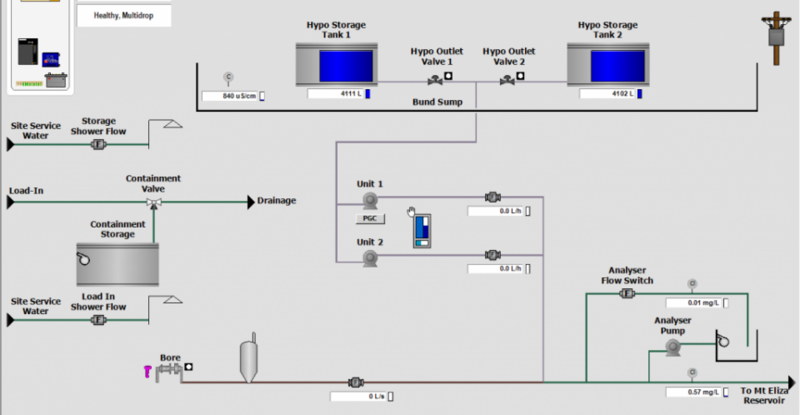 The requirements included the development of logic drawings and design based on a newly released Water Corporation Hypo Dosing standard (JD71). 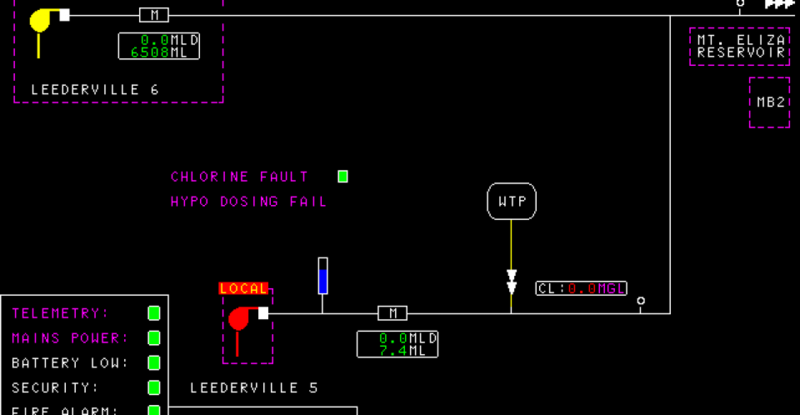 KAPP worked with the Water Corporation to provide fresh logic design and ClearSCADA templates to suit the new JD71 Hypo Dosing standard which was deployed for the first time at these sites. 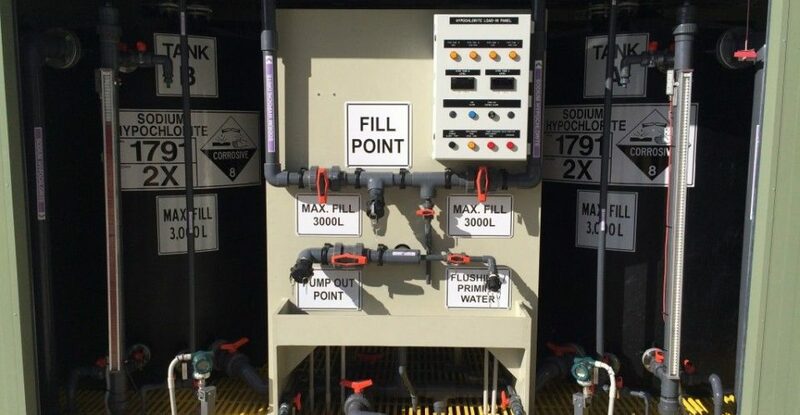 All of the sodium hypochlorite systems will incorporate two complete duty systems with two separate dosing points complete with dosing diffusers, either of the two duty systems will be able to delivery to either of the two dosing points. The analysers will draw from a sampling infuser with sampling times less than 5 minutes in all cases to ensure accuracy of control loops. 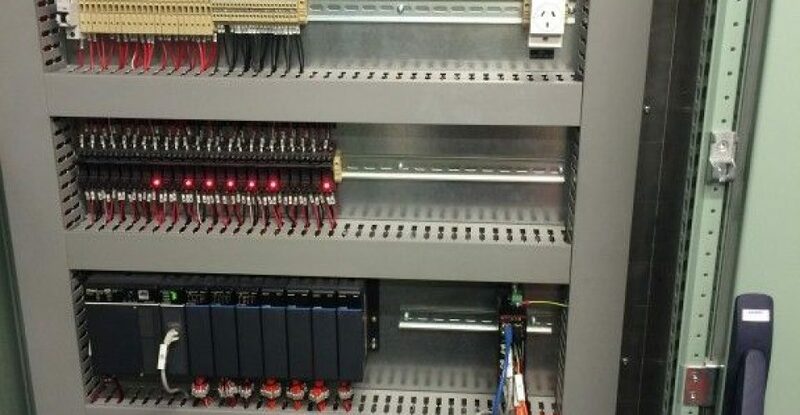 The control system utilised Koyo DL405 PLCs at each location, a SCADAPack E-Net RTU and localised QuickPanel HMI Operator Interface Panel. 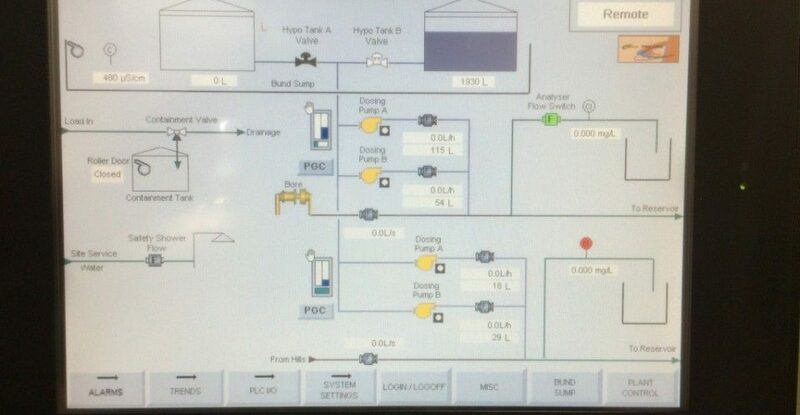 SCADA modifications included graphics for the UWSS (Utility Wide SCADA System – Schneider ClearSCADA) and also modifications to the IWSS (Integrated Water Supply Scheme – ABB MicroSCADA). RTU programming at each location enabled the RTU’s to operate as Multi Masters communicating via cellular communications as the primary path (Telstra NextG) with backup via PSTN to both the UWSS and IWSS simultaneously. Some of the sites also included migration of code from legacy ABB RTU’s (RTU 210/211 and RTU 560) to the newly installed Koyo DL405 PLCs and SCADAPack RTUs. KAPP Engineers gained considerable experience working on the Water Corporations legacy systems which are still presently operational at various locations throughout Western Australia. 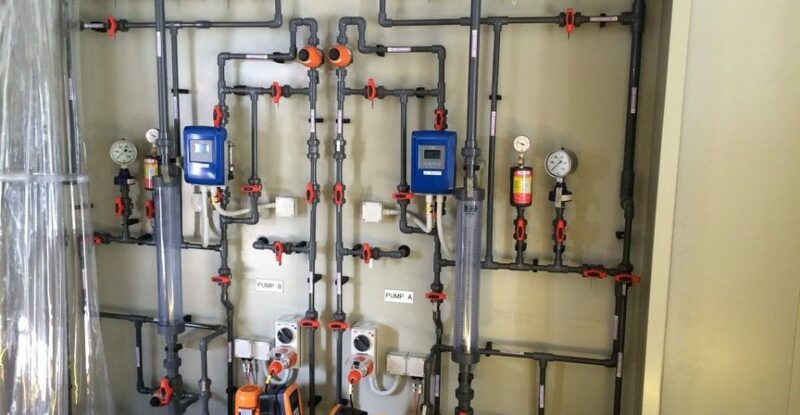 Comprehensive In-House and Witnessed testing with the Water Corporation ensured that the programming supplied was in line with Water Corporation standards. Implementation was done with a comprehensive cut-over plan with both head contractors and commissioned at each location.